These meatballs are delicious, nutritious and can be included in many different meals! You can eat them plain or make a nice tomato sauce and add them to zucchini or wholewheat pasta. The best part is that you can make a batch and freeze them or alternatively put them in the refrigerator for up to 5 days. If you don't have minced turkey, don’t worry as you can easily mince it yourself. Place the minced turkey in a mixing bowl and add in the rest of the ingredients. Lastly season with salt and pepper. Wet your hands a little and make medium sized turkey meatballs.Wetting your hands will make the mixture less likely to stick to them. Now place them on a baking sheet or in a baking dish and bake them in a 200º C or 390º F for about 20 to 30 minutes occasionally turning them. 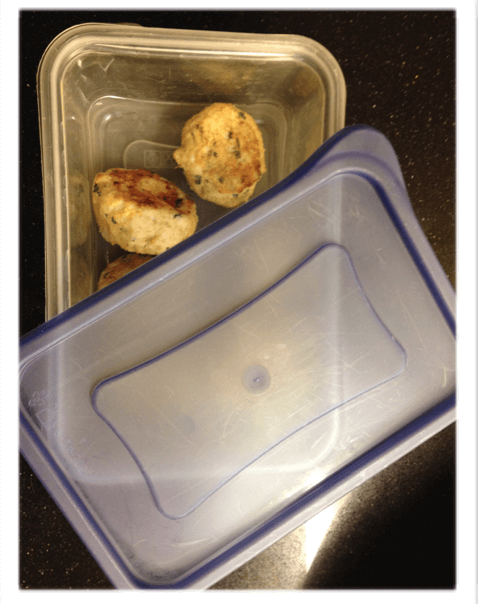 After you take the turkey meatballs out of the oven, you can eat them right away or let them cool off so that you can store them in a container. Bon appetite!